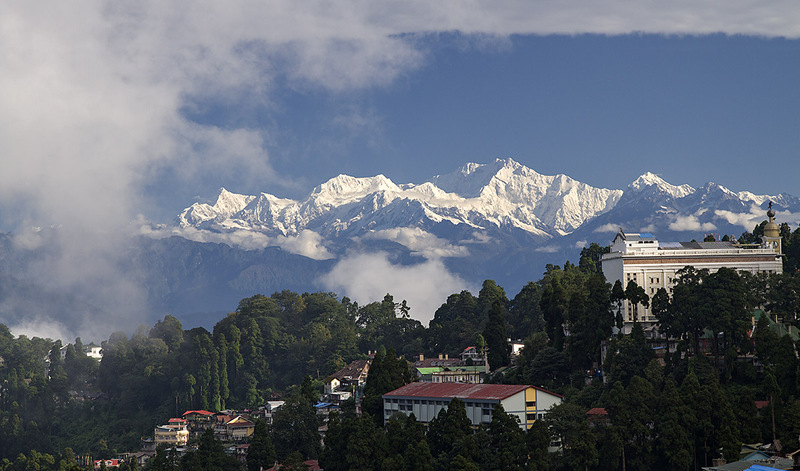 Darjeeling & Sikkim tour 10 Day. The 10-day tour covers the mostly preferred and developed places by the British Empire in India. 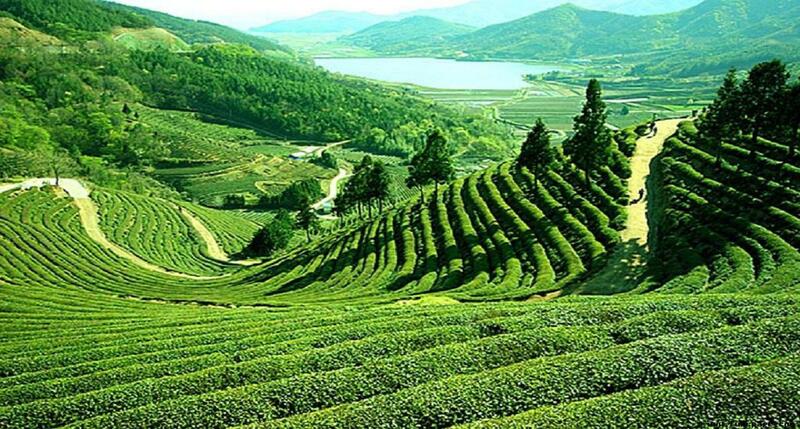 Sikkim, a former kingdom with fascinating Mountain views is situated in Northeast India. And also it is spreading below Mt. Kanchenjunga (8,534m), the third highest mountain in the world. the mountainous kingdoms of Bhutan and Nepal squeezes Sikkim in between.It offers a wide potential in tourism that has yet largely remained unexploited. Also with multicultural touch.Tiny state in India comprises snow-capped mountains. Green tropical and temperate forests, gurgling streams and the rich flora and fauna – a true Shangri-La also includes there. Kalimpong is also mostly famous as the ethnic and cultural melting point. With its majestic Nepalese cultural setting, the region accommodates Indian polity, Hinduism and Buddhism. This small town in North East India is also hub of trade between Nepal and Bhutan. 3.Become informed about high altitude sickness. 4.Carry a good medicine kit Watch where you are walking. Don’t step backward blindly while raking photos. 5.Time your trek generously taking rest while trekking is not a sign of weakness. Day 10: Farewell to Sikkim departure. Transportation by Tavera AC Vehicle and Sightseeing in Gangtok with Maruti Van (as Government rule) on the basis 3-4pax in one vehicle. If talking about Gangtok, brings to your mind an imagination of fluttering Tibetan flags, against the backdrop of Ivy Mountains and the majestic mountain Kanchenjunga, then what you thought is incredibly right and too precise. Organic farms, tea plantations, unspoiled natural beauty and above all, crazy football fans, Gangtok, the capital of Sikkim, surely deserve to be on the itinerary of traveler with varied interest and ideas. For your next vacation, if you are planning to visit Gangtok, then give this opportunity to us to make it even more memorable one. We are offering you an exciting 4 Days and 3 Nights package, as per which you will be visiting some of the best places that ultimately defines the culture and ethics, for what Gangtok is known. From monasteries to high altitude lakes to temples to some highest points, this four-day tour covers it all. Going by your itinerary, on the first day, you will be welcomed by our guides at New Jalpaiguri railway station (Siliguri) or Bagdogra Airport (Siliguri). Thereupon, on the same day, you will embark on a 120 km drive to reach Gangtok. On the second day, you will be visiting some famed attractions of Gangtok like Tashi view point, Ganesh Tok, Hanuman Tok, Flower show, Cottage Industry and Handicraft Centre, Institute of Tibetology, Dro-dul Chorten, Enchey Monastery & Banjakhri Falls. Since Sikkim stands under the shadow of Mount Kanchenjunga, the third highest mountain peak in the world, throughout the day it’s beautiful view will accompany you. For the third and the last day of the sightseeing tour, you will be going to little far out places like Tsomgo Lake (12,400 Feet) and Baba Mandir (13,200 Feet). On the fourth, the last day of the tour, our representatives will drop to your respective railway station or airport. Thus, it marks the end of your trip.